With the gates to The Neverland now officially open and thousands of residents already in full flight, the festival is delighted to announce an extremely special set from Frank Carter & The Rattlesnakes will close out the Skull Ridge area on Saturday night. One of the defining figures in modern British punk, Frank Carter is a man who has systematically paved the way for a new generation of punk musicians and fans alike. From his time as the frontman of Gallows, to his detour into pop-rock melodies with Pure Love, Frank Carter has stuck to his guns and individuality in a manner which leaves many glued to his every move. After the huge success of his debut release with The Rattlesnakes last year, his live shows with the band have become synonymous with riotous abandon, and his set in the rocky confines of Skull Ridge is sure to be the ultimate punk spectacle of the summer, closing out The Neverland in emphatic fashion. Frank Carter & The Rattlesnakes join a mammoth bill of names set to drop into The Neverland across the next couple days, with headline sets from Lianne La Havas and Circa Waves alongside performances from We Are Scientists, Shura, Roots Manuva, Little Simz, Spring King, VANT, Formation, The 2 Bears, Clean Cut Kid, The Big Moon and many more – making The Neverland the perfect destination for thrilling new music. It comes after a rapturous first evening saw storming sets from the likes of Everything Everything, DJ Luck & MC Neat and Loyle Carner before Ghostpoet closed out the evening with a delectable set of modern electro-infused classics. 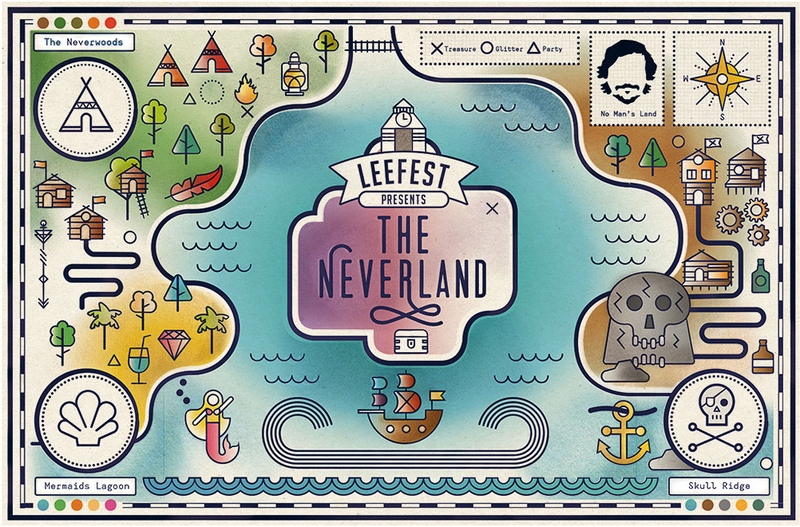 Marking the next acclaimed chapter in the incredible story of LeeFest (which started life in founder Lee Denny’s back garden over 10 years ago), The Neverland is set to redefine the festival experience, with a world of unabashed entertainment to be found around every corner. Whether it’s strolling through the picturesque frames of the ambient forests in The Neverwoods, getting down and gritty at Skull Ridge to a soundtrack of bass, grunge and punk or diving into a kaleidoscopic dream of 80’s glam, cocktails and pristine clarity at Mermaids Lagoon – expect the unexpected a LeeFest Presents: The Neverland encourages all to never grow old. CIRCA WAVES TO HEADLINER THE NEVERLAND!